When was the last time you heard one of your favorite songs come on the radio? How did you feel? For most of us, music can positively affect our mood. With that said, music can be used to boost our energy or calm our nerves. 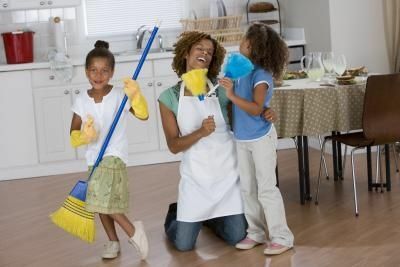 Music can also be used to inspire the family to get chores done, or your child to clean his or her bedroom. Depending on the ages of your children, you can have them select some of their favorite upbeat music or take turns choosing. Soft music can be used prior to nap time for a calming effect and to signal the transition to quiet time or nap time. Jazz or classical music can be on in the background while playing a game, cooking or doing other activities, and for some students, while doing homework. Music is also great to get the family moving! Younger kids may find it fun to march around the house or dance, while older kids can run in place, do jumping jacks, sit-ups and push-ups.